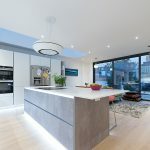 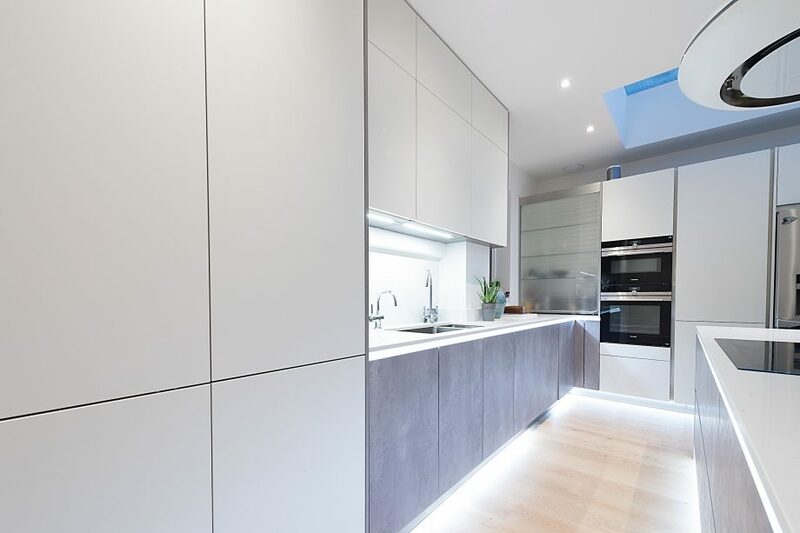 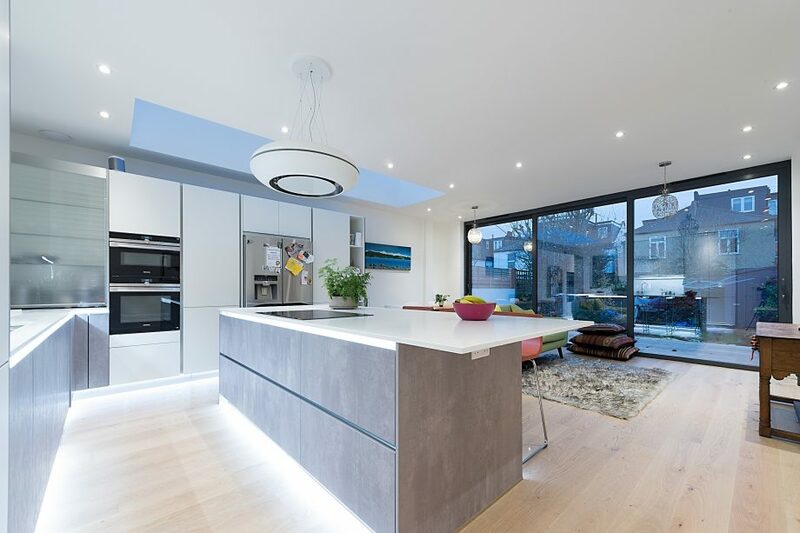 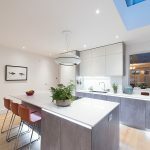 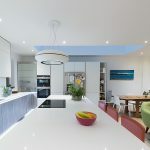 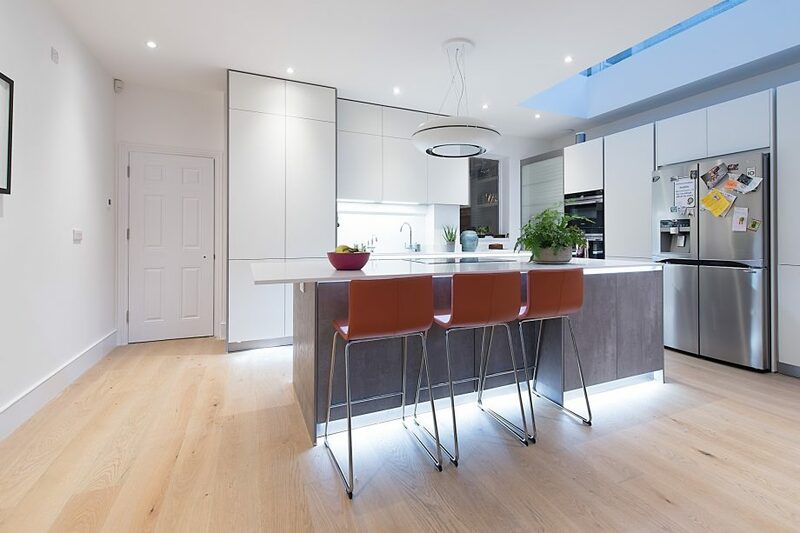 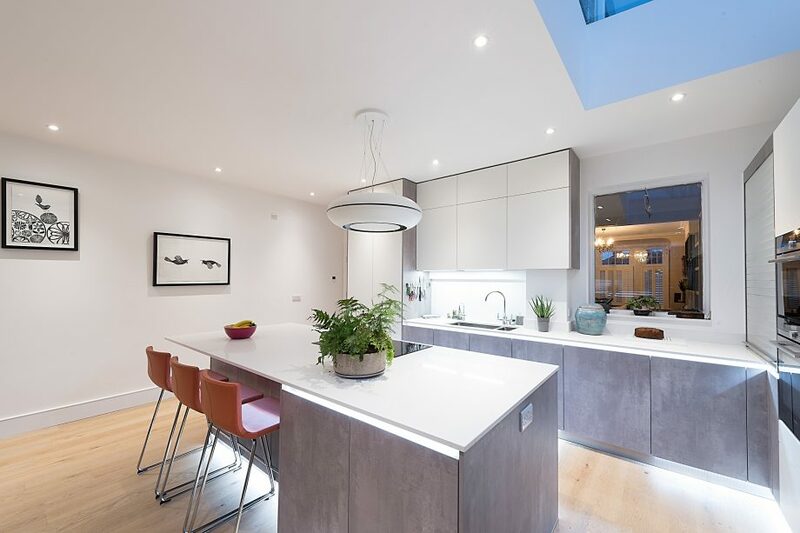 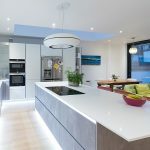 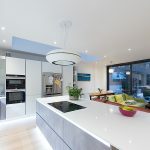 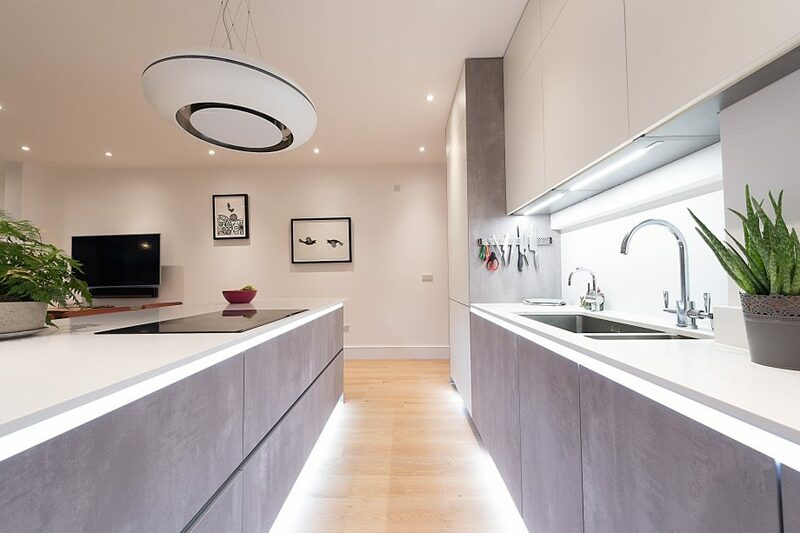 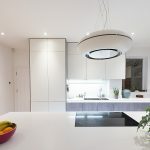 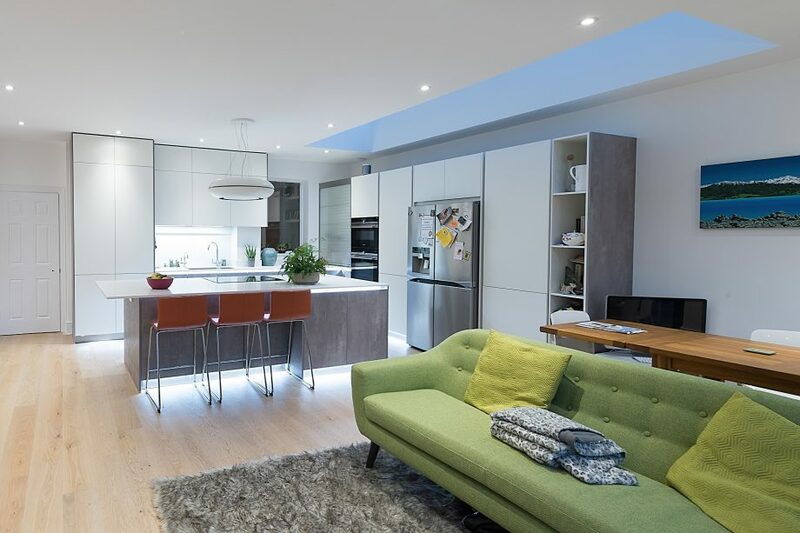 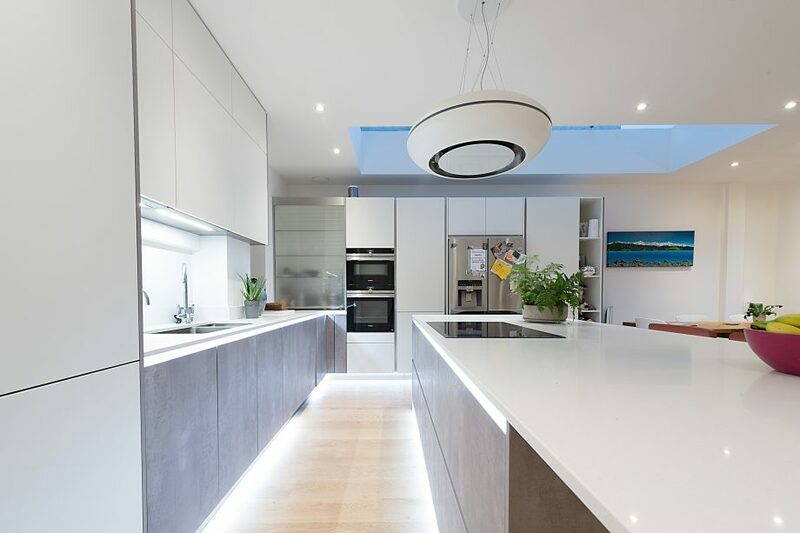 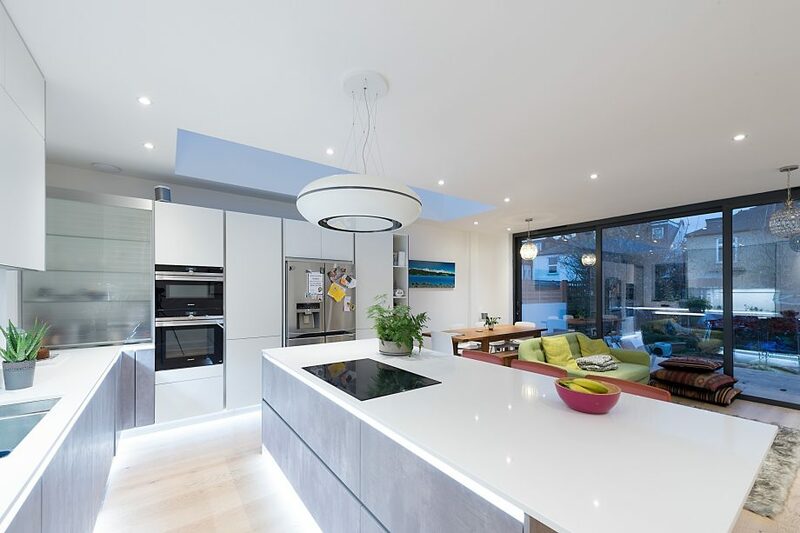 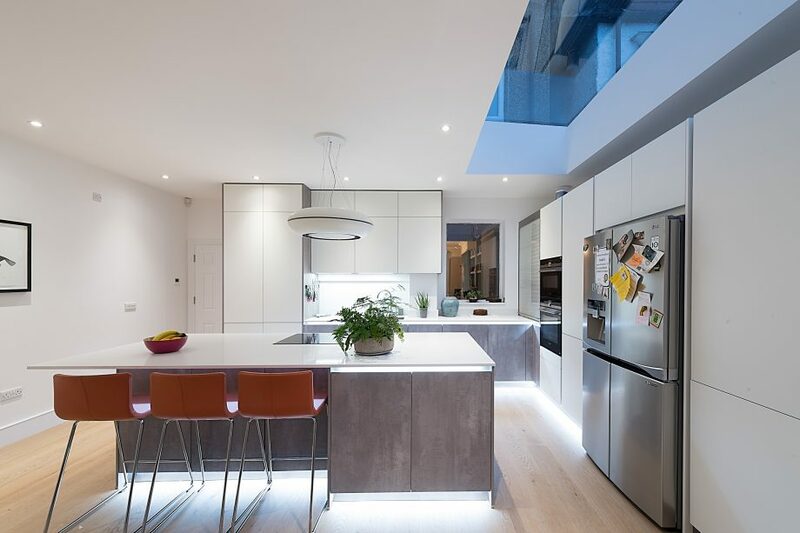 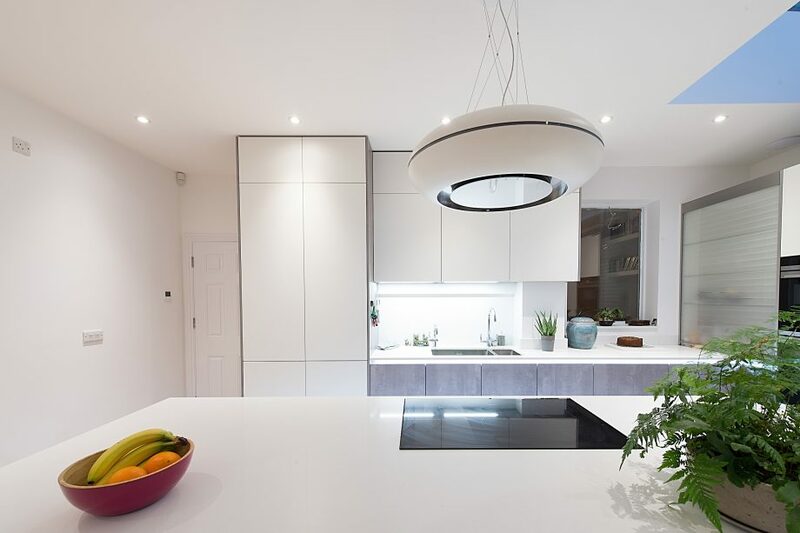 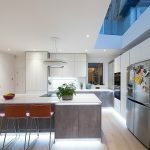 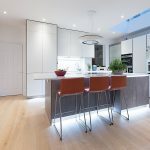 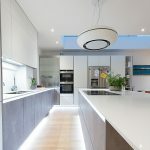 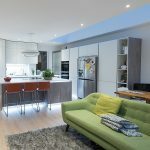 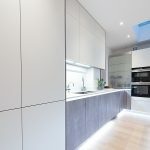 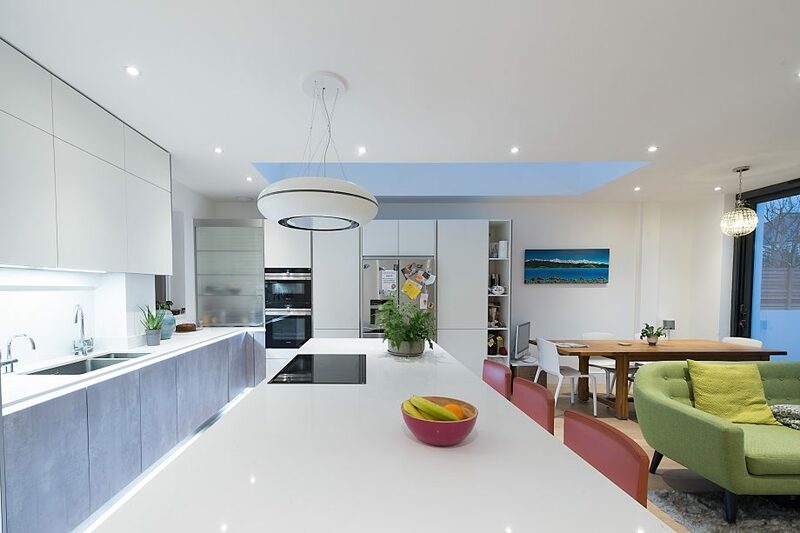 This stunning kitchen in Wandsworth comprises of Concrete effect Putty Pearl Grey and White matt lacquer furniture and a quartz worktop in Snow Storm. 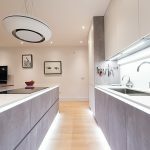 The appliances are Siemens, with a Franke sink and tap, hot tap and Falmec extractor. 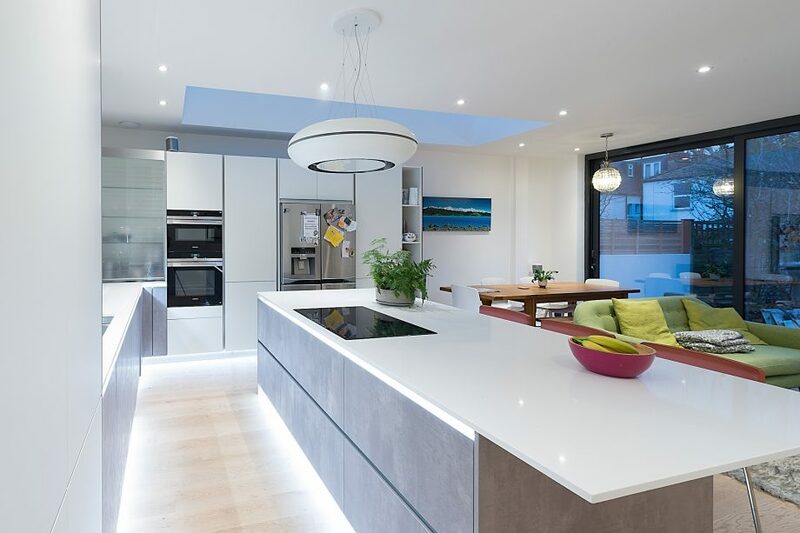 Additional colour is introduced with the customers own accessories.